The Placement cell gives oppurtunities to the companies to recruit the students. Its feasible according to the government fee structure given by UGC. 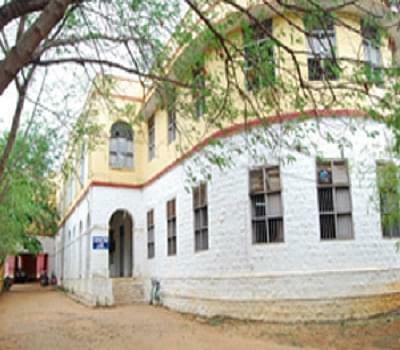 Madurai Diraviyam Thayumanavar Hindu College is one the oldest colleges in the entire state. It was started in the year 1859. The college is famous on accounts that it has produced the best citizens of the nation. In the year 2005, the college celebrated its 150th anniversary. Right from its inception in the old era, the College still stands tall on accounts that it has delivered the best educational practices. It all started with that Anglo-Vernacular school. In the year 1878, the college transformed into a Hindu College and even today the name still exists. Why to Join Madurai Diraviyam Thayumanavar Hindu College, Tirunelveli, Tamil Nadu? Sports complex and various sports activities: The college has many sports grounds, and almost every sporting event is covered in the college. There are 4 volleyball courts in the campus. On the other hand, there are specialized running tracks for racers. The 125 years old legacy has brought about a good contribution to the field of sports. The college encourages many sporting activities, and this is what motivates all the students. Value education: The college being 125 years old, focuses more on value education. Madurai Diraviyam Thayumanavar Hindu College, Tirunelveli believes that it is valued that drives the beings and helps them attain the ultimate stage of their lives. Humanity, when becomes the primary aim behind any educational facility, definitely produces the best professionals in their fields. The college has manufactured some of the best citizens of the nation, and all of them stand a class apart in the world today. The legacy it has left has thrilled each and every being of the nation.